NEW! Wintry Welcome Williamsburg Santa with Wreath by Jim Shore Heartwood Creek. The Williamsburg Collection combines the unique folk art of Jim Shore with the rich history of colonial America. 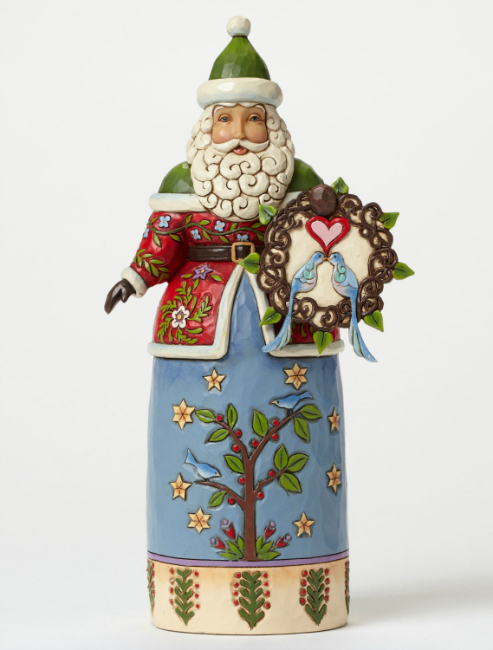 This colorful Santa is beautifully decorated in floral motifs and features a flock of bluebirds, a symbol of happiness and prosperity. Made of Stone Resin. 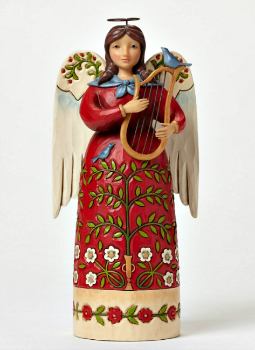 Measures 8.5"H x 2.875"W x 4.25"L.